The Access Point Name is set to define the network path for all the cellular activity on a device. You can view and edit the APN but only if your carrier allows you to. If you have a SIM card and a carrier that allows modifying the APN, here’s how you can change APN on iPhone or iPad. The downside to having been using a wrong Access Point Name is that you may lose cellular data and also see some additional charges in your bill. So don’t edit the APN until you have been prompted to do so by your carrier or IT manager. You can always contact your carrier to check if the APN settings on your device are correct. If your carrier allows, you can see your APN by opening the Settings app and then accessing the Cellular tab. In this tab, tap on Cellular Data Options and then on Cellular Network to view the APN. 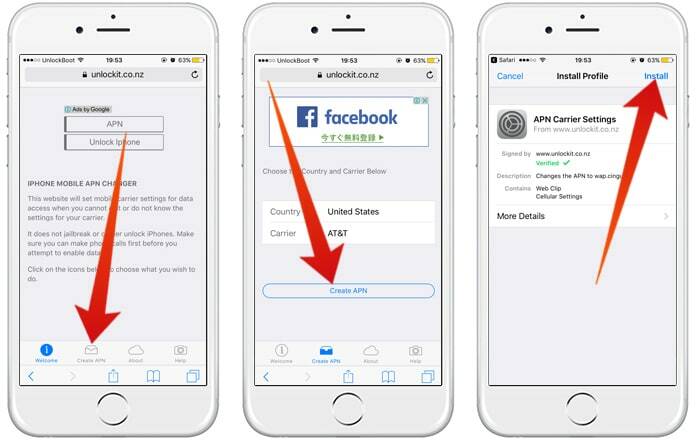 If you reside outside the United States you can view your APN by accessing Settings, Mobile Data and then into Mobile Data Options. Further, tapping on the Mobile Data Network will show your APN settings. To modify the APN, tap on each field and enter the details provided by your carrier; the data will save automatically. 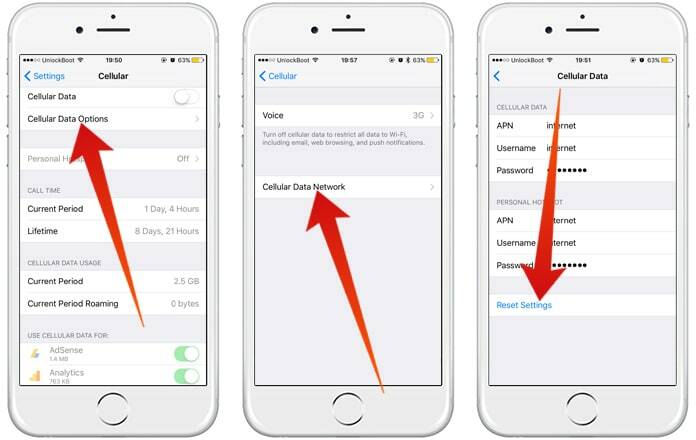 It is important to note that you may not be able to change APN on iPhone or iPad if your carrier does not allow. Unless you were using a configuration profile, updating an iOS will revert the modified changes and you’ll have to reapply the settings after the software update completes. To revert back to default, open Settings app and tap on Cellular, and then on Cellular Data Network. Finally, click on Reset Settings. If you are working in an enterprise environment, your IT manager may have configured a special APN. Contact him if you wish to modify the Access Point Name. 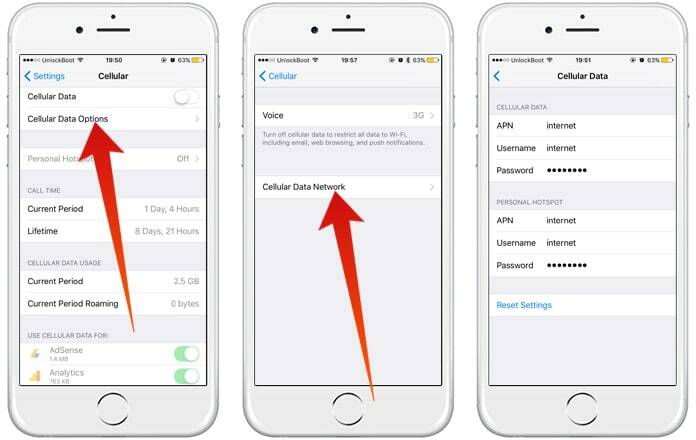 If you have already modified the APN on your iPhone that your IT manager set by using a configuration profile, you can change it by going into Settings, Cellular and tapping on Cellular Data Network. For doing the same on an iPad, remove the configuration profile and add it again. If you’re an IT manager and wish to change advanced settings including the APN, you can use Apple Configurator, OS X Server Profile Manager or any another Mobile Device Management solution. While trying to go online, if you are receiving an error stating ‘could not activate cellular data network’ or that ‘you are not subscribed to any cellular data service’, it means the APN on your device is not correct. To use cellular data on international roaming SIM cards from carriers that are non-native, you’ll have to modify the APN settings on your device. Step 2: Once you’re there click on Automatically, select the carrier from the menu. Step 3: Tap on install profile to install the new APN settings on your iPhone. Step 4: Reboot your iPhone and try again to activate cellular data. 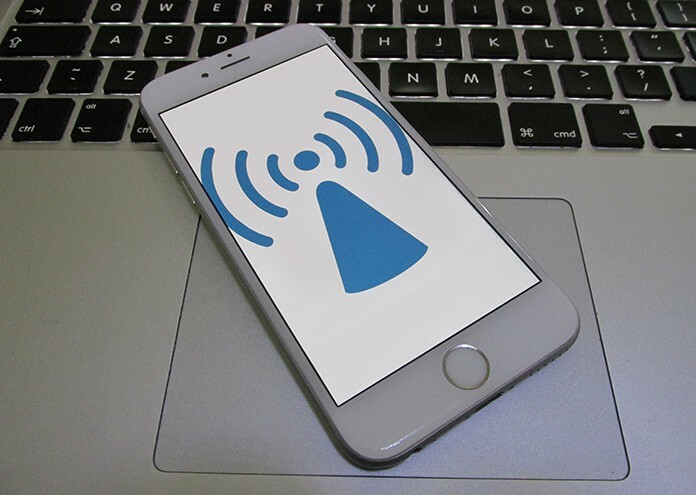 The Access Point Name is a part of your smartphone settings that’s mostly hidden but a correct APN is important if you do not want to pay additional charges for data you did not use. We hope the above tips help those of you who were facing problems connecting the cellular data, and change APN on iPhone.